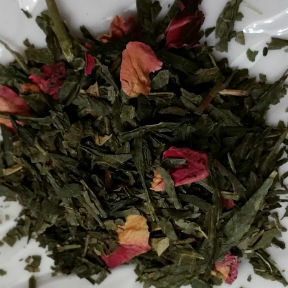 Japanese-style Green Tea blended with rose petals and natural cherry flavor. The result is a light cup with an exotic character. Wonderful flavor and a customer favorite. Delicious cold.